The journey of 2,015 miles began with a single wreck. 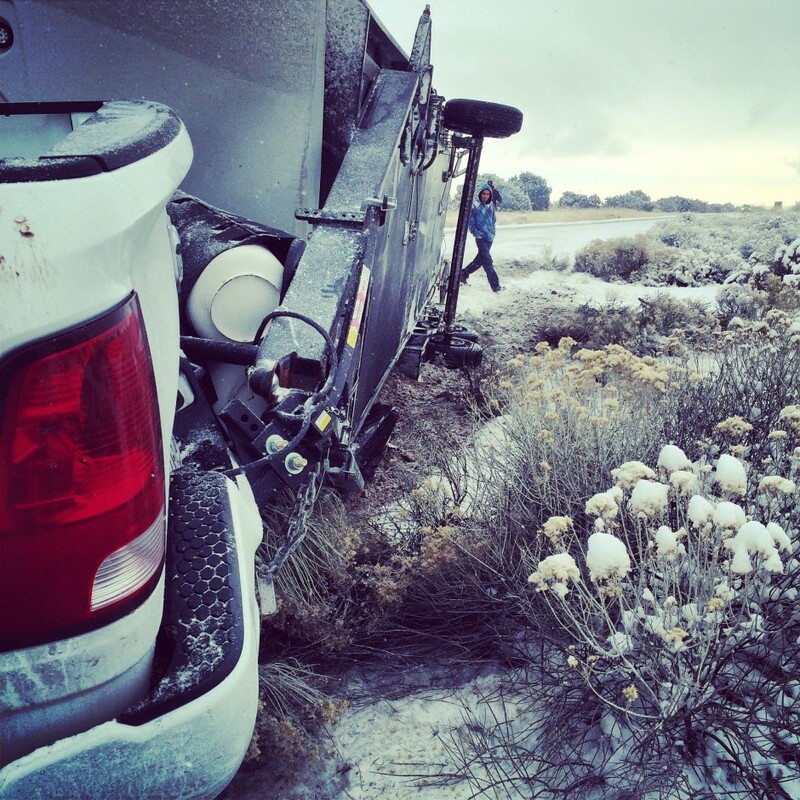 A year ago, my companions and I were traveling down to Phoenix, AZ when our truck and travel trailer started sliding out of control. In the end, the trailer flipped on the side of the road, and we were stranded on the side of the road still several hours from our destination. Aside from the immediate danger of our lives in peril, in the back of my mind was a little concern. Just a day away was the onset of the new year, and with it, what would be a most extraordinary attempt to cover 2,015 miles in a single year. My long-time friend, David Hill, had called me up with a crazy idea earlier that month. “Do you want to try to run 2,015 miles in the year 2015?” If was the most ridiculous thing I had heard. It sounded impossible. On paper it made sense. 5.5 miles a day. Every day. In reality, it still didn’t make any sense. What happens if you miss a day? 11 miles the next day? Up to that point, the most I had ever run non-stop was 5-6 miles, and now I was going to do it every day? Madness! Insanity! What he didn’t know was that I was going through the deepest layers of hell, condemned to remain somewhere between the eighth and ninth circles of Dante’s Inferno, not by my actions or free will, but bound and delivered there in chains of fate forged in the flames of the desires of others. So desperate was my state, alienated from every comfort, severed from every source of strength, I despaired of life, finding solace solely in the thought of rest in a grave. And to a man thusly burdened was presented the prospect of a task nearly equally as difficult as the already massive quest of finding the will to live just one more day. As both seemed nearly impossible, it seemed a match made in heaven. Both live for another year, and run two-thousand and fifteen miles in it, or neither. Double or nothing. Perhaps now, looking back over the past year, this moment is my confession. For everyone to whom I have spoken the idea of running that number of miles has seemed monumental, bordering on impossible. So many people told me I should have tried something less extreme or more manageable. To this I say, as impossible and insane as it would seem to you to run 2,015 miles in a year, equally impossible and insane it seemed to me to continue the drawing of breath for another year. Perhaps as little as anyone would want to run those miles every single day, equally as little did I desire to push on through each day of this existence. All of this may come as a shock to many of you. As many have noted my absence from contact, be it calls, texts, messengers, or social media, almost none have known the dire conditions precipitating this absence. Some have noted I’ve only reappeared to update the world of the progress of my running. Perhaps it served two purposes. Dead men don’t run. If I’m running, I’m still alive. I know not if the solitude was necessary or if living as a hermit was productive. All I do know is that I didn’t know how to live in this world. My struggles have been so contrary to what anyone knows of me, and they have been so impossible to explain, I opted to say nothing at all and simply hope that time and inertia would have a balancing effect on the chaos surrounding me. Unceremoniously, the journey began. Live. Run. Mother nature was my first foe. The icy wreck in Arizona put me two days off schedule. 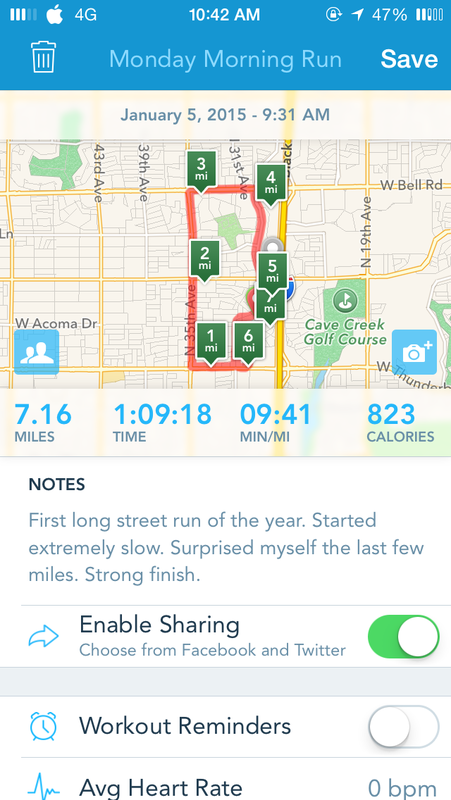 A new year, and already 11 miles behind. The only fortune was to have a few extra days in Arizona, trying to find a way home, which allowed a few sunshiny runs before being greeted by the subzero temperatures of home. With January’s windchill temperatures at times dropping to -40º F, I was regrettably forced to log ceaseless hour after hour of mileage on treadmills. If there’s one thing I hate, it’s treadmill runs. The air is stale, there’s no breeze to cool you once you hit your stride, the televisions in front of you only play absolutely garbage, and the scenery never changes. I’ll never forget how excited I was when we finally had double-digit temperatures. Fifteen degrees? I’m running outside!!! Sidewalks were still covered in ice and snow. More often than not, in addition to running, I was hurdling snow banks. It was freezing still, but the feeling of actual wind in my face, and the taste of fresh air always made it worth the treachery of mother nature. By February, after trying to put in an extra mile every other day, I was finally back ahead of the game, on track for completing the challenge. Some people ask me why I run, how I run so long, or what’s going through my head hour after hour. It’s complicated, but it’s simple. When I run, the world stops. All the pain and frustration steeping in the toxic cauldron of my soul is purged, if only for a moment. As the miles roll by, the world ceases to exist. 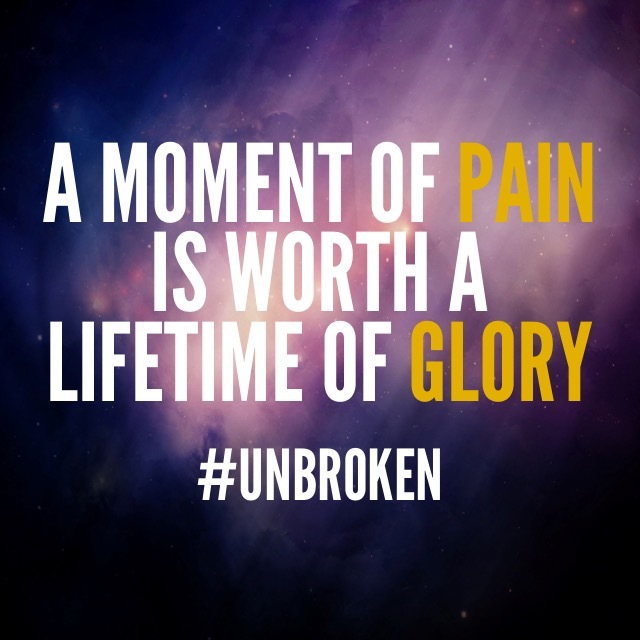 There is no pain inside. The only thing I feel is this body, pushing harder than it ever could–this heart pounding, this breath escaping. All I hear is the road beneath me and the approval of the wind in my face. I can’t feel the judgments of others. I can’t feel the stigma or the shame. I can’t hear the lies I accepted for so long. For that moment, I am free. That moment is addicting. One would think that once you’ve passed the halfway mark and you’ve got less ahead of you than you do behind you that it get easier. It doesn’t; trust me. With less than 500 miles to go, even the prospect of completion was nearly not enough to hold me here. Every day you’re out there running, and the finish line is no more real than it was the day you started. Even on a 15-mile day, the fraction of ground you’ve covered is nothing…literally nothing. Somehow you have to believe in something. You have to believe in something that isn’t real. You have to give meaning to something that would otherwise be insignificant. Belief is an act of creation. Every morning you have to get up and tell yourself what is real. You create your reality. 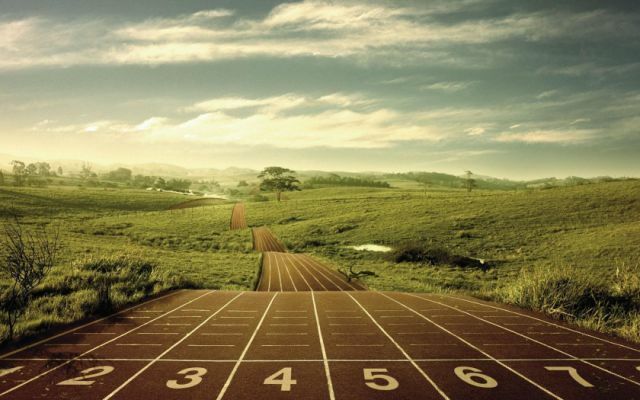 A mile is nothing–unless you make it something. A day is nothing–unless you make it something. If there is anything I’ve learned, it’s that there’s only so much magic in this universe. When you come across it, hold on to it. You never know what you have or how long you have it. You don’t know what is real and what is imagined. But those moments that take your breath away are worth finding. Believe in yourself. And when you can’t believe, know that there is still someone out there who does. Fight, no matter how hard it may seem. A lost battle is not a lost war. Tomorrow offers another chance. It doesn’t matter how small it may seem, because a small victory is still a victory. Make moves instead of excuses. Action is power. Having heart is more important than skill. In the darkest moments, light still exists. Lift your head. Open your eyes. Victory is ahead. Even if you can’t see it. You just have to keep moving. One foot in front of the other…Until you reach the finish line.